Dr Asanga Welikala is Lecturer in Public Law in the University of Edinburgh and the Acting Director of the Edinburgh Centre for Constitutional Law. 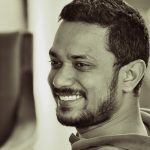 He is a Research Associate, Institute of Commonwealth Studies, University of London, and Research Fellow, Centre for Policy Alternatives (CPA), Sri Lanka. His teaching and research interests lie in comparative constitutional law, applied constitutional theory, and Commonwealth constitutional history.